As all we know India is the only country where whatsoever you dream for, can come true. 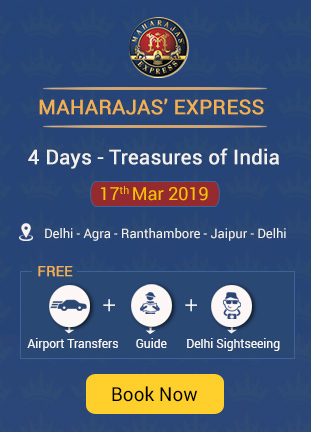 And if you are someone who wish to live like Maharaja along with tour of some of the most dynamic destinations of India, then your wish ends here, as “Maharajas’ Express” is the answer of your wish. 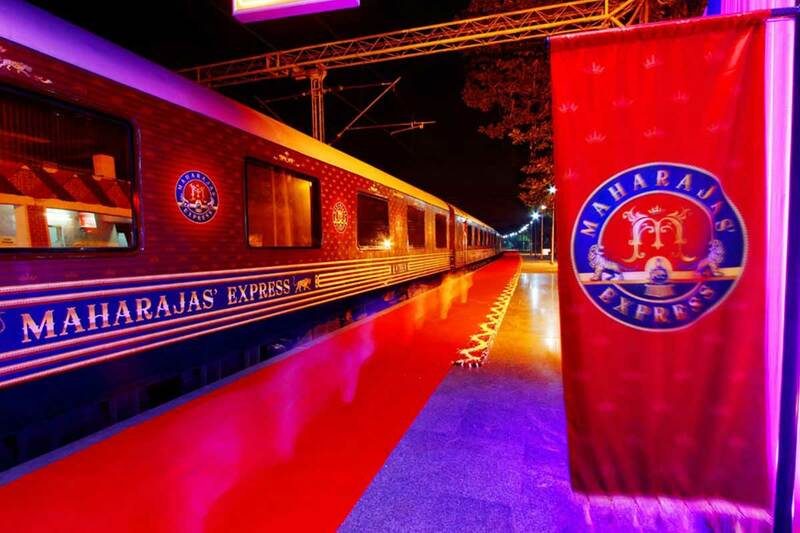 Maharaja Express Train, an effort of Indian Railway Catering and Tourism Corporation Ltd has been famous for not so many accolades but “World’s Leading Luxury Train” award at the World Travel Awards for five continuous years from 2012 to 2018 make the Maharajas Express train first choice among all luxury trains. If you think that’s it, so wrong, its unconventional amenities, state of the art technology, international hospitality standards, fully equipped cabin cars and precisely designed seven itineraries Gems of India, Treasures of India, Heritage of India, Indian Splendor, Indian Panorama, The Southern Jewels and The Southern Sojourn not takes it guests from one place to another but an exciting combination of world heritage sites, wildlife, art, culture and royalty along with some different insider experiences at some particular destinations make journey memorable. 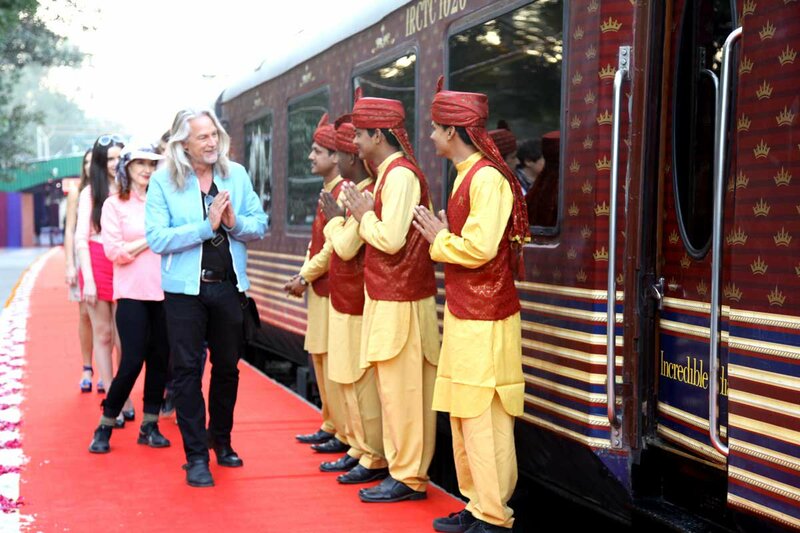 So, are you ready to start your regal journey in one of the most luxurious train of India ? Confused…right… I know two question still troubling you…that it’s under our budget or not and which itinerary is best for me? 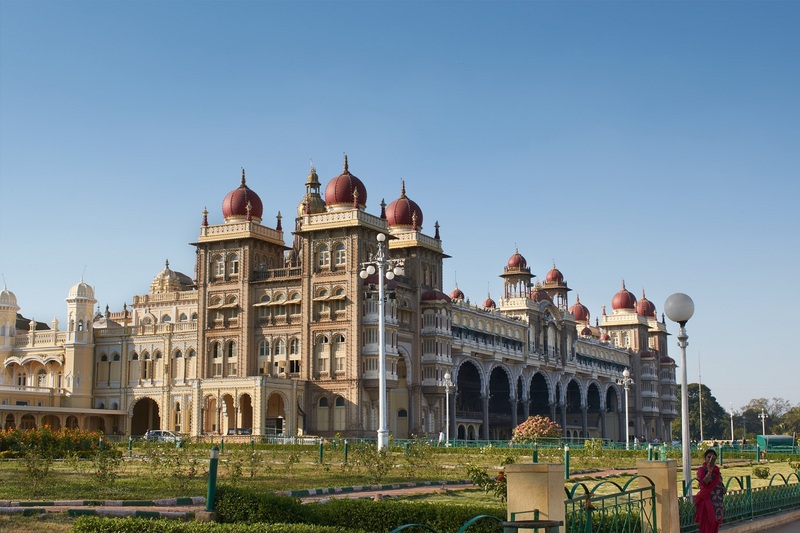 ?…then don’t worry, before booking of Maharajas Express train, please check out the below overview of seven wonderful itinerary. 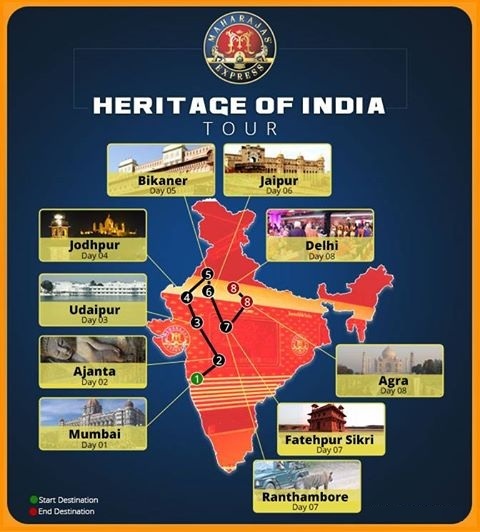 Gems of India tour which is noted as “Golden Triangle Tour Package” will not take its guests to one of the three outstanding destinations in India – Delhi, Jaipur and Agra but on this four day tour guest can explore some prominent landmarks and places of interest like Taj Mahal, Ranthambore National Park, Amer Fort, City Palace, Jantar Mantar, Jai Mahal Palace and among others. Starting from Delhi, Treasures of India tour doesn’t take it guests on the three most wonderful and enticing places of India: Delhi, Jaipur and Agra truly called Golden Triangle but its visit of no lesser than 5 UNESCO World Heritage Sites along with insider experiences and shopping tour in Agra and Jaipur make this package more excited and memorable. As the name implies this Heritage Tour of India is a sojourn into history where guests don’t get opportunities to experience the glory of ancient period but here they get to admire with the Indian rich culture,art and architecture at many UNESCO World Heritage site like beautiful cave paintings at Ajanta, eventful history, well-preserved heritage and impressive architecture at Mehrangarh fort etc. Not only this, its activities like relaxing massages, elephant ride /activities, camel safari, jeep safari and more will leave everyone breathless and make tour well spent. 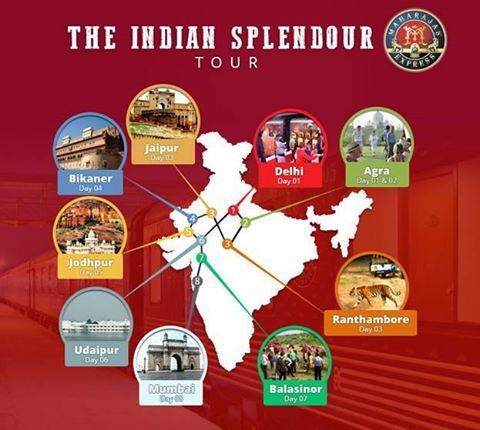 The Indian Splendor tour not connect it guests to the root of the royal states like Rajasthan, Agra and Gujarat but each day a visit on wonderful city like Jaipur, Udaipur, Jodhpur, Bikaner etc. 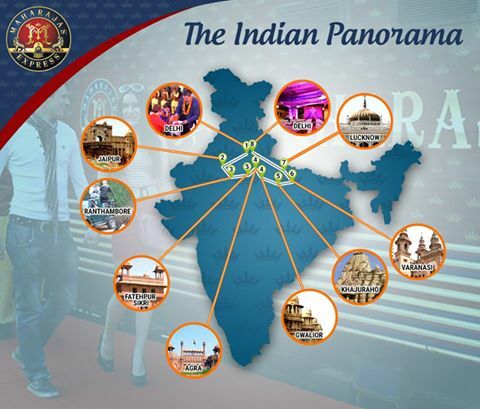 will definitely make everyone to fall in love with these cities and no doubt everything an exciting fusion of culture, history and legend will show a new picture of India tourism. India which is blessed with picturesque landscapes, lovely environment, original cultures, traditions and beliefs has something that fascinates every kind of tourists. so if you want to experience the distinct flavour of Incredible India in one tour, choose Indian Panorama tour which will not take you to a romantic city Agra to the pious city Varanasi but it’s amazing sights like group of monuments at Khajuraho, grand forts and palaces at Jaipur and endless of ancient cultural and architectural marvel at Gwalior and Lucknow and wilderness at Ranthambore amazed you and wanting more. 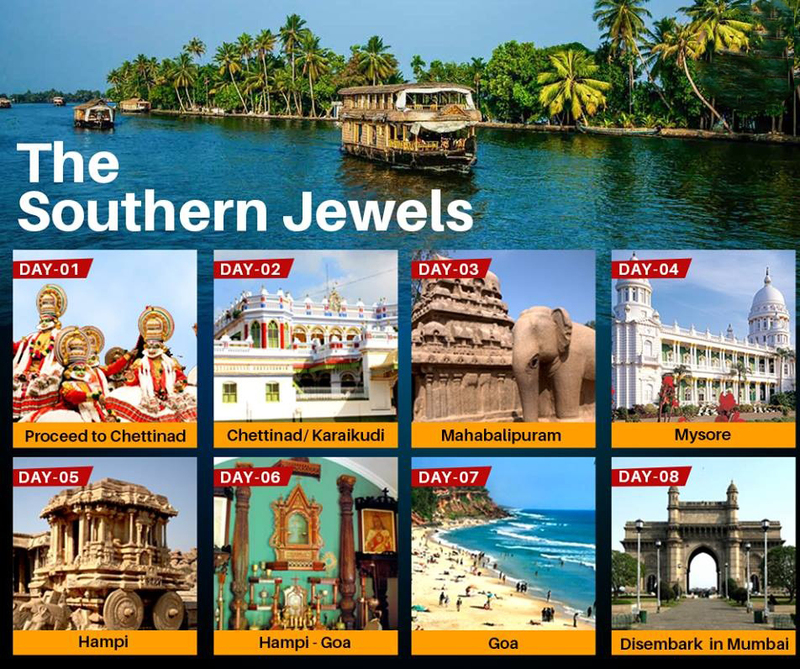 The Southern Jewels tour not take it guests to some of the wonderful destination of South India( Chettinad, Thanjavur, Mahabalipuram, Mysore, Hampi, and Goa) but on this journey, they will get chance to discover some interesting historical/lesser known facts from cultures or about monuments, places, cities and famous landmarks like outstanding mansions of Chettinad, UNESCO World heritage Site of Mahabalipuram, impressive ruins of Hampi, splendour of the Mysore Palace, beautiful churches of Old Goa, and more that would everyone like to go or to explore. 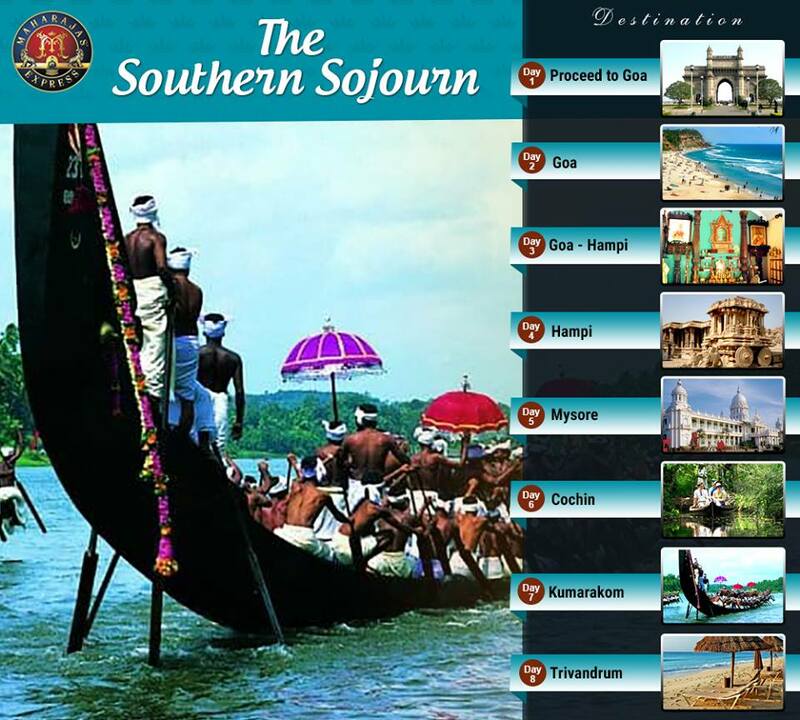 An exquisitely crafted journey “The Southern Sojourn” is a wonderful combination of the amazing sights of South India, from the land of heritage and devotion, Chettinad to UNESCO World Heritage Site-Hampi, Mahabalipuram, Goa to the cultural capital of Karnataka, Mysore, each of the signature destinations treat all the senses and make south tour cherish forever.